Pongal or the Harvest Festival is celebrated by way of paying tribute to the Sun, Nature and cattle for helping them with a rich harvest. The 3 day festival is celebrated with great pomp and splendour. Bogi is celebrated the first day. Homes are given a fresh lick of paint and old articles are removed. The second day is Pongal, the main festival. Sugarcanes, Pongal (a sweet variety of rice) and festoons of mango leaves mark this auspicious day. Mattu Pongal is celebrated the third day. On this day people pay tribute to the cattle for bringing in prosperity. 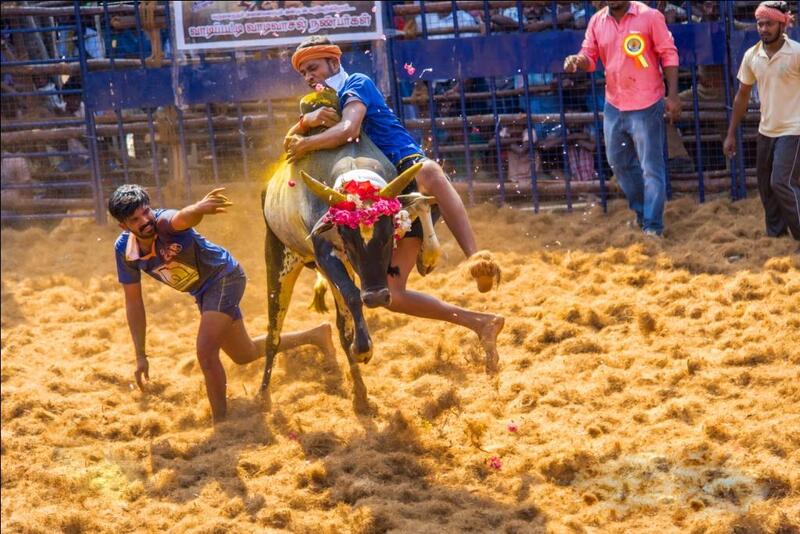 The most popular sport in Tamil Nadu is part of the pongal celebrations. This game of valour is held in the villages with great pomp and splendor though only as a popular sport. People from the neighbouring villages throng the open grounds to watch man and beast pitting their strength against each other. It is celebrated every year on the Full moon day of the Tamil Month Chithirai. (April/May). 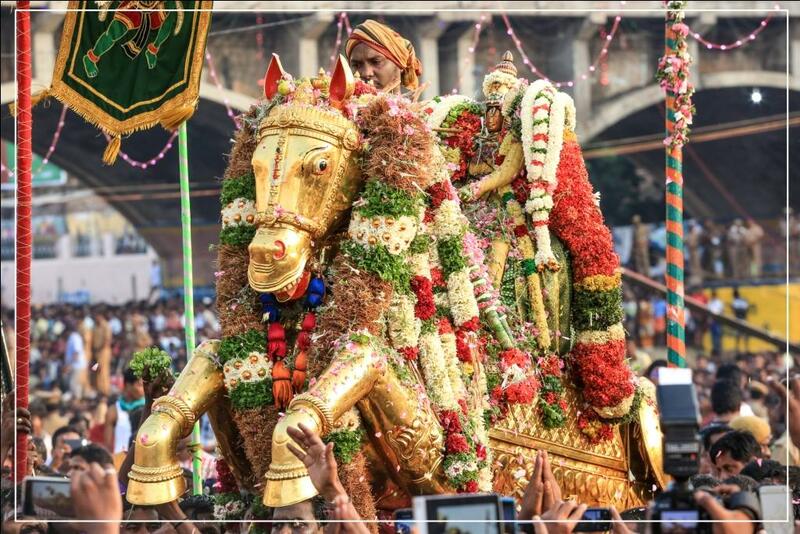 Legend says that Lord Vishnu, as Alagar, rode on a golden horse to Madurai to attend the celestial wedding of Goddes Meenakshi with Lord Sundareswarar (Lord Siva). This festival is marked by solemnity and serenity. During the festival the deities – Goddess Meenakshi and Lord Sundareswarar (Lord Siva) are taken in procession to a mirror chamber. For nine days they are on a swing, which rocks gently. This festival during August / September celebrates the coronation of Lord Sundareswarar (Lord Siva). Daily A “Lila” or play is performed where the temple priest recite the stories of Lord Siva in 64 miracles, which protected the city of Madurai from adversity. One among is Coronation would be performed for Sundareswarar and another Significant one is Lord Sundareswarar (Lord Siva) carrying soil for earning pittu would be enacted. Goddess Meenakshi, During this nine day festival, would appear in a separate dress and look every day and bless the devotees at the `kolu mandapam’ in Amman Sannidhi. The entire temple would be lit in colour lamps and the dolls would be arranged in a manner to find a niche in the hearts of the devotees. This festival is held in honour of Goddess Meenakshi in all her forms, which embody fury, compassion and wisdom. A dance festival is being organized by the Tourism Department for Fifteen days. Exponents of various dances forms from all over the country perform in this festival.